The Human Microbiome Project was launched by the National Institutes of Health in 2007 yet there is still much to be known about microbiomes and how they impact our health. 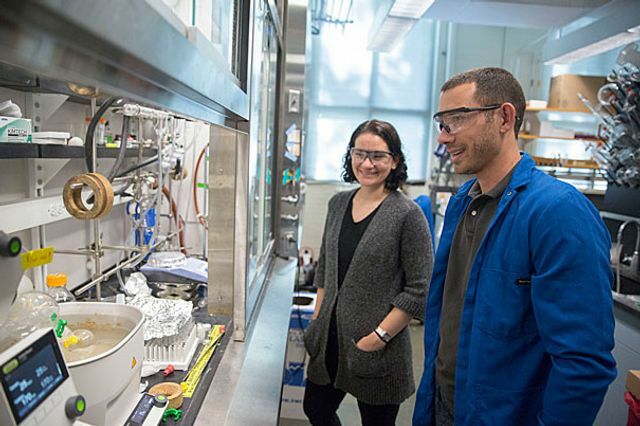 We still have a way to go before we can alter our own microbiome to improve our health, but a tool developed by Emily Balskus, the Morris Kahn Associate Professor of Chemistry and Chemical Biology, in collaboration with Curtis Huttenhower, an associate professor of computational biology and bioinformatics at the Harvard T.H. Chan School of Public Health, may offer an important step towards this goal.